A sandwich mattress for couples made from natural Biogreen foam with a different level of firmness of each side. The green side is firm, the brown one is soft. 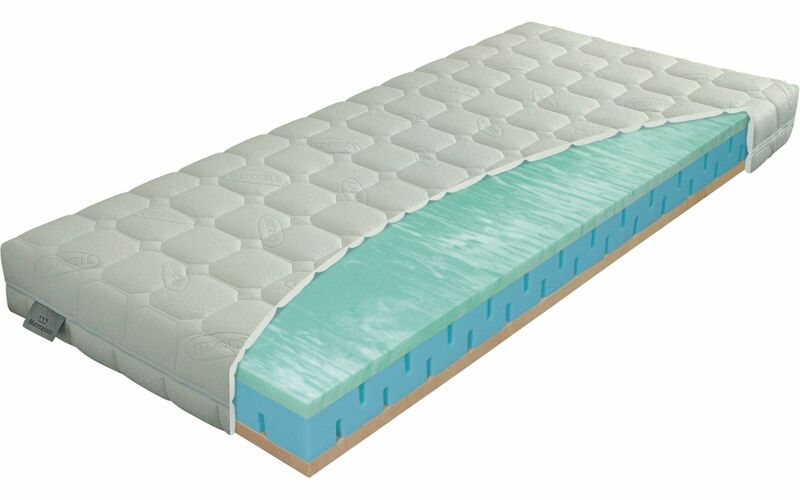 The mattress is reinforced with a ventilated and firm core made of Eliocell foam. This mattress is a good choice for those looking for significantly different firmness on each side. The Lyocell cover contains natural wood cellulose fibres, which absorb and carry away the moisture. The fabric uses wadding with high-grammage hollow fibre, which carries away moisture from the cover, thus increasing the hygiene level of the mattress.